It's decided! 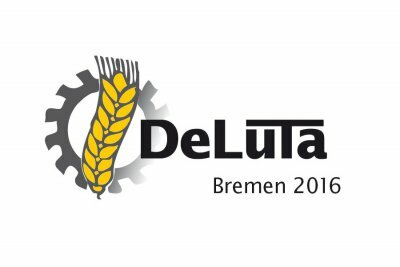 DeLuTa 2016 no longer takes place in Muenster, but in Bremen. For the change there were some weighty reasons. Improved services and larger exhibition area were ultimately decisive. Better prospects support the choice of Bremen: more space in the halls, more seats for the presentations and the foyers, the absence of a high-risk outdoor tent, more than 2,000 parking spaces in front of the main entrance, a central location close to the main railway station, the historic market of Bremen and many hotel rooms in the immediate vicinity. These are good parameters for a successful DeLuTa. One thing is clear: DeLuTa in Bremen will be different. Due to the spatial requirements and the arrangement of the halls, all cannot be 1: 1 implemented. This creates exciting opportunities and possibilities. But we we can already promise that the succesful DeLuTa concept will remain. With the support of Bremer Touristik, we will submit you a wide range of hotels. Bremen has 10,000 beds in all price ranges on offer. Bottlenecks are not to be expected. The challenge for us to realign DeLuTa is exciting. There is still much to discuss and decide. We look forward to making this task with you.